It was the summer of 2005. 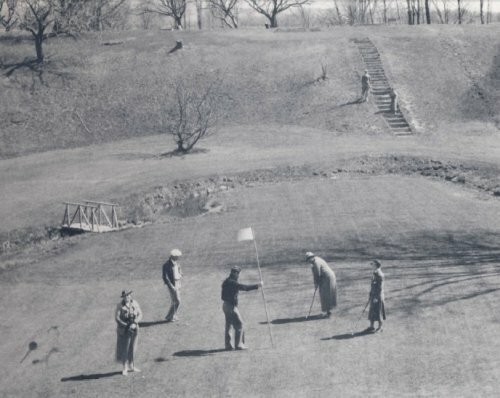 Great-aunt Minnie, a spry and sharp 90, stood looking down at the 9th green from the clubhouse deck at the Meaford Golf Course. She turned to her great-niece’s husband. “Ivan,” she said, “when did you change the green?” Ivan Alderdice, who’d owned the course with his wife, Mary, since 1991, was surprised. He’d enlarged the green in the late 90s when he expanded the course to 18 holes. But Minnie’d just arrived from Lloydminster, Saskatchewan for a wedding celebration and family reunion, and as far as he knew, she hadn’t seen the previous set-up. “I used to work here when I was a girl, back in 1934,” Minnie replied. 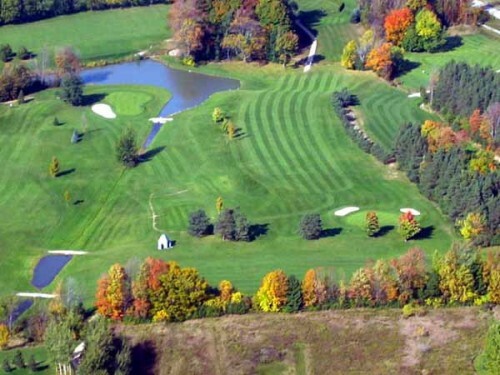 As the fifth owners of the club, Ivan and Mary have seen the course through more than a quarter of its 81 years, longer than any other owner, and they’ve taken it from its original 9-hole configuration to a challenging 18 holes, without losing the comfortable scale and casual atmosphere that made it unique. The newly discovered connection with the founder seemed about right. 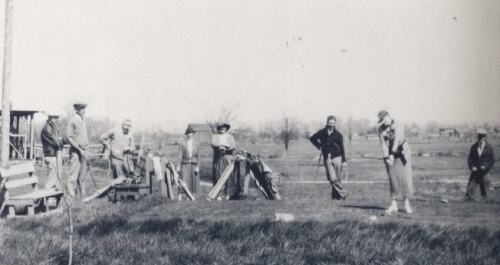 After the war, Archie Platt took over the course and brought it back to life. With many in Meaford looking forward to getting back to golfing, it became a real community effort, with volunteers carefully tending to the greens and the fairways. Platt also built additions to the clubhouse, including where the pro shop is currently located, and focussed a lot of his effort on the restaurant. In the mid-sixties, Mick Baynon, an avid golfer, bought the course and devoted his energy to the play. “He wanted to make it better, and he did,” says Ivan. After 11 or 12 years, Bob and Pat Shorter became the owners. Bob was a good golfer, says Ivan, but there was still a lot of potential to be realized in the property. That’s what Ivan saw in 1991. Visited Blue Mountain earlier this week, twice in fact. Canada’s third busiest ski resort is just a 20 minute drive from Meaford Haven, but if you’re an avid skier, you don’t have to worry about the “busy” part. A Blue Mountain 5×7 pass is a great deal and allows you to ski Monday through Friday day and night, and nights on Saturday and Sunday. Head there during the week, and you’ll be surprised at how short the lift lines are – if there are line-ups at all. More often than not, you’ll be skiing right up to the lift. Back on Monday for more leisurely pursuits. For a few years, Plunge! Aquatic Adventure has been welcoming kids (and the young at heart) year round with its indoor/outdoor pools, indoor water playground, hot tubs, rope swing, dock and slides. Paddle boats and kayaks ply the pond during the summer months. Kids try their hands (and feet) at the climbing wall. Shoppers tour the array of shops in the Village, followed by a drink or a meal in their choice of pubs and restaurants. And this year, the Ridge Runner Mountain Coaster offers new thrills. It’s like a roller coaster ride down the hill – for more than a kilometre – but you control your speed with a brake; if the max 42 kilometre per hour is too fast, slow down and enjoy the views. 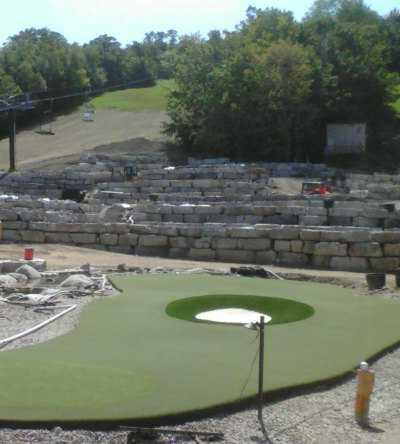 But the newest attraction, and one that might just attract the real golfers among us, is the miniature golf currently under construction at the base of the hill. This looks like it’s going to be much more than an ordinary mini-putt, with realistic greens, bunkers, and challenging lies, all set among monolithic blocks in the side of the hill, recalling the ruins of Greek temple or amphitheatre.